While we were out weeks wandering (wasted and weak) in the wondrous western world, a wealth of new music met the new morning’s airwaves. 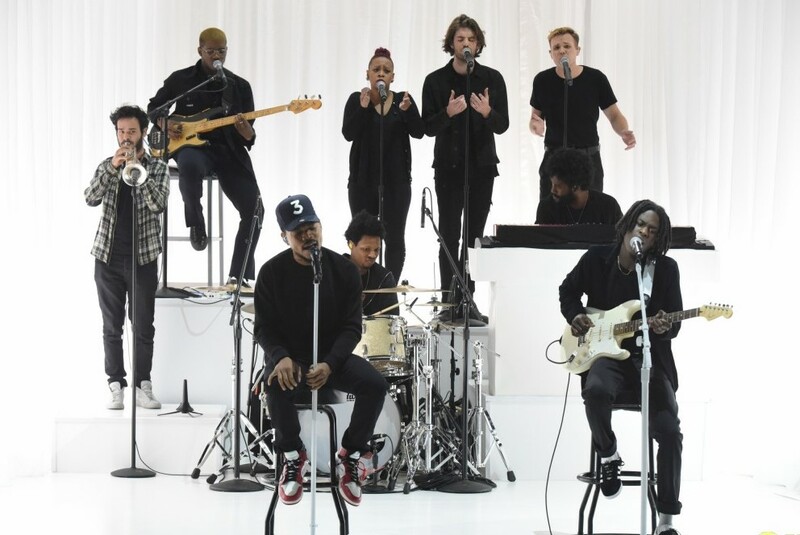 To begin, on Monday night peerless (Kendrick excepted) rapper Chance the Rapper showed up on Colbert’s Late Show and performed the honest and challenging new Judgment-Day song First World Problems (lyrics at bottom) with Daniel Caesar. The poignant new song, with its heady castigations, witticisms and triple-entendres, is from a highly anticipated new album the artist has been working on in the studio while “cooking up some yammers.” Just to show he’s not too pious or humble, Chance confessed on Colbert that his new songs, “they’re honestly great.” Based on the performance of the song below, we have no doubt about the high standards to be seen on Chance’s upcoming album. Bravo! The American dream don’t you ever wake up.